Florida Realty Official Real Estate Search Site. Search Central Florida MLS and Central Florida Real Estate Listings. 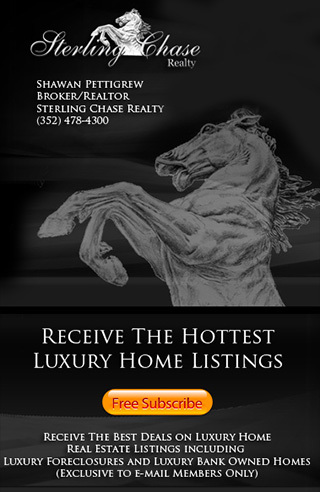 Sterling Chase Realty your FL Realty Experts. Sterling Chase Realty Is Central Florida's Premier Luxury Realy Company that provides professional real estate services throughout Central Florida's finest communities and brings to you the most Exclusive Luxury Homes, Mega Mansions, Multi Million Dollar Estates, Golf Communities, Gated Communities, Waterfront Properties, Celebrity Homes, Luxury Foreclosures & more!